Ever get that not-so-dry, uncomfortable feeling in your work boots? With the Chippewa 24951 Thinsulate-insulated boots, your feet will feel as dry as the desert in Arizona or Antarctica for that matter. These quality, handsomely constructed waterproof boots are ... (see full details) (see specifications) #CHP24951. Ever get that not-so-dry, uncomfortable feeling in your work boots? With the Chippewa 24951 Thinsulate-insulated boots, your feet will feel as dry as the desert in Arizona or Antarctica for that matter. A terrific, good-looking, all-purpose boot, these hand-made Chippewa 24951 boots will stand up to any condition, from Alaska to Arizona, Antarctica to Australia or whatever extreme territory you call home or work. For even more adventure Chippewa offers this boot with a steel toe as style number 24953. 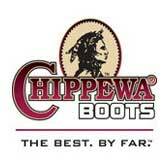 Chippewa Boots: Waterproof Insulated 8 Inch Work Boots 24951 is being added to your cart.